Here in the Rangitikei we have our own ‘toilet bowl’ scenario with the recently granted consents to quintuple the size of the Bonny Glen landfill (owned by Midwest Disposals)… to the dismay of many locals especially those who live near it. If you’re driving by Marton any time soon take the Bonny Glen route through to Whanganui/Turakina. Wind down your car windows and catch a whiff of what these folks live with. Folks can smell it in town from 7km away! You can check out the whole story on the Bonny Glen pages. But the usual scenario. An ‘independent’ panel of corporate people (no environmentalists) hear all the submissions presented by all parties who object to the corporation’s new activities (pests, noise, cost, smell etc.) then consents are granted and the corporation gets to do more of the same in spite of all the pre consent promises. For just one example, the dumping of leachate which was at a cited level of 1-2 truck loads per 1-2 days, when folks in the neighbourhood have witnessed up to 12 trucks and more per day. On that note check out ‘The Corporation’ movie on our Corporations page to see how and why corporations lie and get away with it. as I’ve heard on some days it smells pretty foul out in the wind. And it’s been reported recently in a local newspaper that the leachate from the facility is probably harming the health of the local Tutaenui Stream because the consented levels are being regularly exceeded. 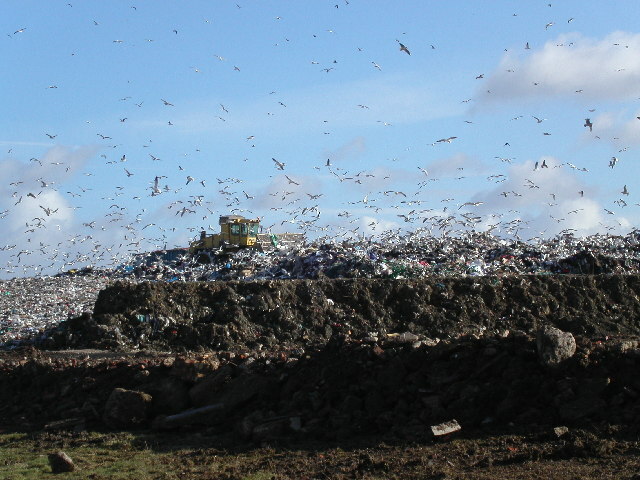 The landfill or tip was sold by the local Council to Midwest Disposals some 15 or so years ago. They’re seeking consent to dump rubbish from as far afield as New Plymouth, South Taranaki, Whanganui, Palmerston North, Wairarapa and Horowhenua (over 200 km away) until the year 2055. This item features submissions to the consent hearings conducted at Feilding in February 2015. (See ‘Bonny Glen Landfill’ page for a background to the process so far). The page also includes other information and updates that relate to the topic. You can access some of the other submissions yourself in their original form at the Horizons website.